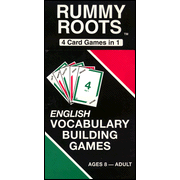 Have you used the vocabulary game - Rummy Roots? 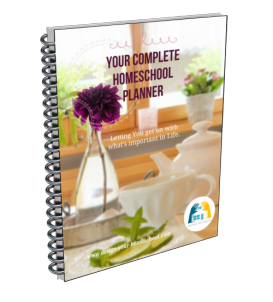 Read what other homeschoolers say about Rummy Roots. The great part about the vocabulary game Rummy Roots, is that you can learn 42 different Greek and Latin roots without a workbook or pen. In Level 1, players combine roots to form English words. In Level 2, players try to stump their opponents. Level 3 is played like Rummy in which you combine three root combinations and expand vocabulary. The good thing about this game, Rummy Roots and More Rummy Roots is that it remains fun with the additional use of some "stump" and "bonus" cards. The next game follows along and teaches another 51 Latin and Greek roots. If you enjoyed the original Rummy Roots, you'll love this challenging new version of the best-selling card game! 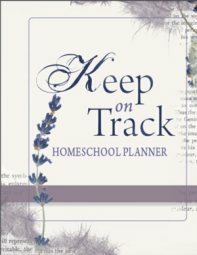 Your family will master 51 Greek/Latin roots; develop memory, listening, and alphabetizing skills; become proficient in basic math computation; and more. Includes 51 Greek/Latin cards, 4 stump cards, 2 bonus cards, and instructions. For two to four players, ages 8 to adult.